Father Dyer spends the better part of an hour trying to convince you to change the plan and ambush Benton, but you know better. Benton is telepathic and would know you were coming. You lie down on the bed and take a nap. In your dreams, you are sitting in a Wendy’s talking to the ghosts of Hoffman brothers, guitarists whose souls were eaten by Benton during a concert in 2004. They are both drinking Frostees. Brian’s is chocolate, while Eric’s is blood flavored. They warn you to go home. Benton is too powerful. He will destroy you. He is the ultimate form of evil. You will not survive. You wake up in a cold sweat and a feeling of looming disaster in your throat. Father Dyer is nervously pacing back and forth. He tells you he also took a nap and also had a dream about two Brothers. They were warning him to turn back while drinking Frostees. You chalk it up to coincidence and get dressed for the concert. You arrive at the show four hours late, just in time for Deicide to begin their set. Benton seems to not notice you, but the fact that the guy you are with is dressed as a priest draws the attention of several members of the crowd. They are slightly amused thinking that Father Dyer is trying to be ironic, but quickly go back to their beverages. As the music begins to play, the two of you inch closer to the stage. During the middle of “Dead By Dawn”, Benton finally notices you. He has read your mind and knows why you are there. He quickly turns the crowd into man-eating zombies. You kick and punch the zombies away and jump onto the stage. Father Dyer is not so lucky. He is eaten by two overweight gentlemen in Immolation tee-shirts. Benton is startled. He was certain that the zombies would stop you. This is the perfect time to attack. 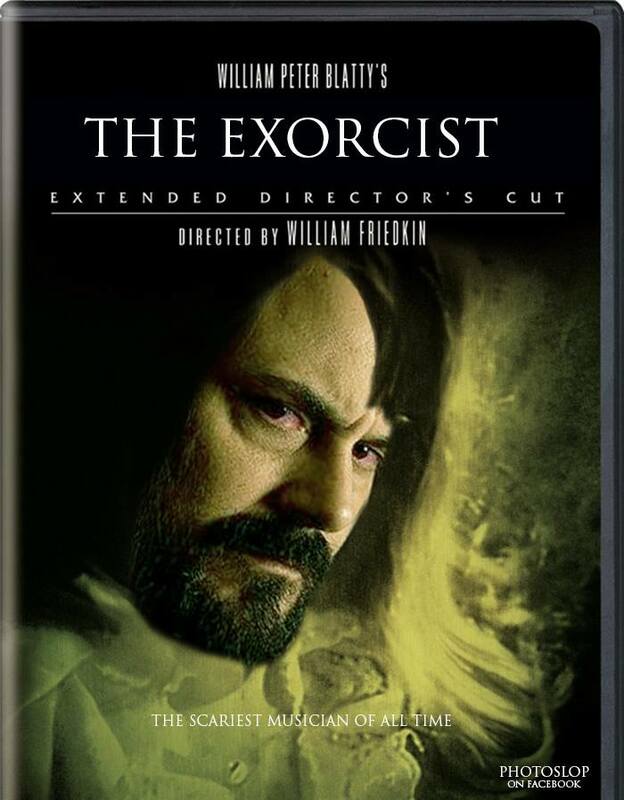 However, you do not have Father Dyer’s case which contains the Rites of Exorcism. A zombie with a Burzum shirt on is trying to eat it. Then, the zombie begins to repeatedly hit himself in the face with the case. You’re not even quite sure the Burzum fan is a zombie. This is actually pretty reasonable behavior from someone who listens to Burzum. If you do not have the Rites of Exorcism, you’ll have to behead Benton in order to release the demon. This entry was posted on June 25, 2013, 3:32 PM and is filed under The Exorcism of Glen Benton. You can follow any responses to this entry through RSS 2.0. You can leave a response, or trackback from your own site.